With a different topic each month, this lunchtime discussion group focuses on the timeless truths found in the Bible to equip leaders with answers to difficult questions in their personal, spiritual, and professional lives. 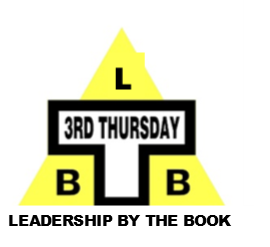 This month’s lesson is “2 Chronicles, Formulas for Success”. In chemistry, a formula is a set of chemical symbols showing the elements present in a compound and their relative proportions. Simply put, a formulas shows how chemicals react to one another and the outcome of this reaction. This month’s scripture provides a formula to gain God’s blessing. This program is free and lunch is provided for a $5 donation. Due to limited seating, registration is preferred.